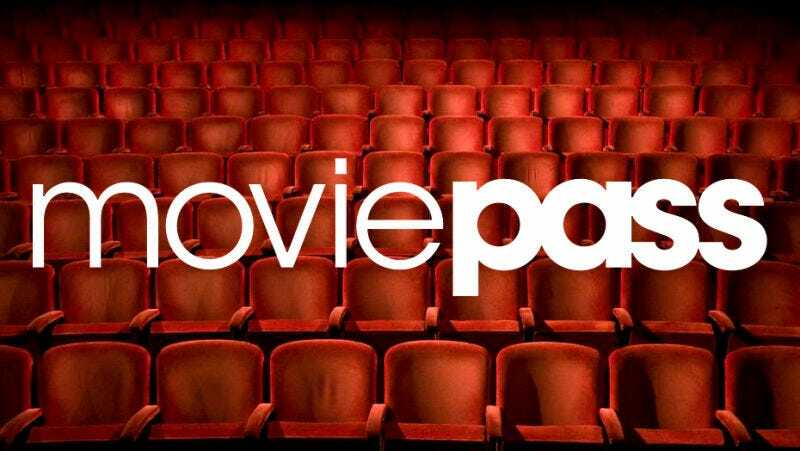 Some MoviePass users recently received a mysterious email explaining that there’s been another change to the company’s terms of service. As people began to complain about it online, it became apparent that this change wasn’t applied to everyone. MoviePass tells us that it’s all part of a test program to combat fraud. MoviePass, the all-you-can-see movie theater subscription service, has been open about the fact that public interest exceeded its forecasts from the moment it announced a new price of $10 per month. It now has 1.5 million subscribers and is rapidly adding more. The original plan was for the company to slowly add subscribers as it proved its concept and added new partners and investors. Instead, the company has had to fight theaters, deal with a flood of complaints, replenish the supply of custom credit cards, and raise more cash as it burns through too much money too fast. Among its operational headaches, it claims that people have been abusing the service. Its latest move to curb that abuse is to require some users to send a photo of their ticket stub to the company if they want to unlock the ability to use their card again. As users discussed the email online, it became apparent that the change wasn’t happening to everyone, prompting speculation that the company was only targeting users who took advantage of the service frequently. As our subscriber number continues to climb rapidly, we’ve seen a spike in fraudulent activity. There are multiple methods by which individuals can abuse our service, so we are developing and testing a few different catch-all systems that will help prevent against fraud. We are in this for the long-haul, and in order to maintain a sustainable model, we must monitor user behavior closely to protect our service. The group we are testing this feature on has not done anything wrong, but they will help us to determine if this new system is effective. MoviePass CEO Mitch Lowe recently said the company terminated “a small percentage” of users’ accounts for violating the terms of service. He told Business Insider that the violations included, “users checking in for a basic 2D ticket, but then getting a 3D, RealD, or IMAX ticket; using MoviePass to obtain movie-theater gift cards; or buying concessions along with a ticket.” The new terms of service added in January included a provision that an account could be terminated if the user didn’t “view the movie for which you purchased a ticket with your MoviePass Card in its entirety” on more than one occasion in a single month—presumably to cut back on people just walking into part of a movie because they have nothing better to do. Lowe laid some of the blame on theaters charging two tickets to a single MoviePass card. He urged subscribers to double-check their receipt to avoid running afoul of the company’s TOS. But ultimately this is a communication problem and a customer service problem. One of MoviePass’s biggest hurdles at the moment is its almost complete lack of customer support. Twitter is filled with complaints that range from overcharges to app outages to popular movies being unavailable. A lot of them seem to have genuine grievances that could be resolved quickly with a proper phone bank. That user is telling people not to sign up because they received a wrong charge, but they’re also pissed they’ll be temporarily prohibited from signing up again in the future. Others have voiced similar frustrations. People want to do their usual storming off, swearing “never again,” when a company does something wrong, but MoviePass is basically giving you money so you either put up with the failures or lose the service for an extended time. Oh, the app screwed up tonight? Did you already see one movie this month? Okay, well, you saved like five bucks already, so deal with it. It’s hard to argue with that. MoviePass could do itself a favor by communicating changes more clearly so people don’t suddenly turn paranoid about the future of their movie theater renaissance. And users better get used to changes—until the company can bend theaters to its will and figure out a way to stop bleeding money on full-price tickets.